The former Oasis frontman, who was born in the city, is scheduled to play a show at the O2 Ritz next Tuesday (30May17) as part of his mini tour, and he will donate all proceeds to the We Love Manchester Emergency Fund, organised by Manchester City Council in partnership with the British Red Cross for people affected by the bombing. Suicide bomber Salman Abedi set off an explosive device in the box office area of the Manchester Arena following an Ariana Grande concert, killing 22 people and injuring more than 50 others on 22 May. Liam, whose homecoming performance will take place in the city days after the attack, explained his motivation for the gesture was to "try and help pick people up" after the traumatic event. “I just knew I had to. I’m not in it for the money. The gig was going to happen anyway and we all have to do what we can," he told the Manchester Evening News. “I want to try and help pick people up. People like me, doing what we do, it’s our duty to give people a good time. Liam is also scheduled to play dates at London’s Electric Brixton, Olympia Theatre in Dublin, Ireland, and Barrowlands in Glasgow, Scotland, ahead of the release of his first solo single, Wall Of Glass, in June. 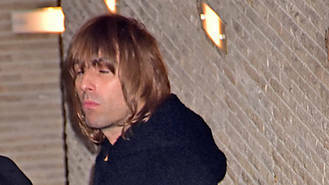 His debut solo album As You Were is set for release in October.